Overview: Relationships has been added to Shelby Financials in Release 9.0. This utility allows users to group family members together along with additional responsible people. It is most useful when creating invoices for daycare or school students, as customers, but sending AR statements to the person who is responsible for paying the bill, the Bill To. 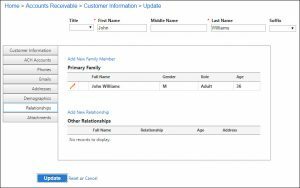 Adding this utility is accompanied by a new Relationship item located under Control Information, which allows users to establish their own Relationship Types. Getting Started: If you are an Arena customer, then you should use the steps below to setup your Relationship Types. 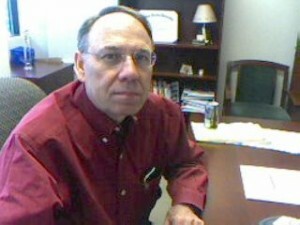 Arena customers’ Family structure is carried over into Financials. If you do not have Arena, then, you should start by adding a few Relationship Types. 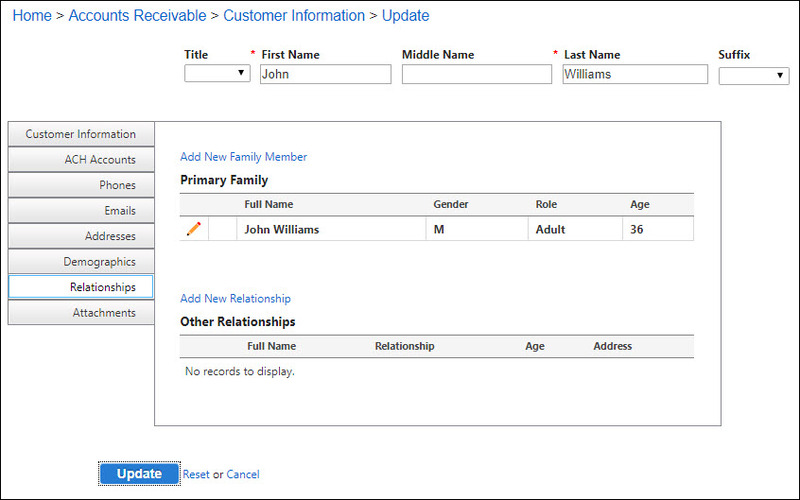 Then select a record, either a customer or bill to and start grouping existing family member records together. If there are other responsible parties outside of the core family structure, then add those as well.